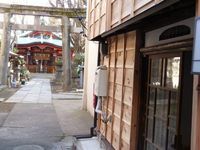 Property 3: Hidden 2story Gem - Tokyo Sugamo Downtown Traditional Hideaway! Property 5: Stylish apartment close to JR train Station. 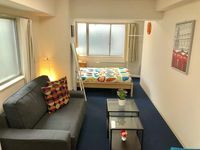 Property 10: Lovely Studio Near Shibuya! Property 11: Near Shibuya Crossing 8 minutes Walk !! New build cozy room . Property 13: Sunny living room with a separated bedroom close to JR train Station. Property 16: Today's Style and Comfort Near Olympic Park! Property 20: Shibuya modern new wooden house!! Property 26: Easy stroll to Shinjuku Station! Center of TOKYO. Best Location! Property 45: Shibuya 109/scramble crossing/Mega Donquijote 4 min on foot spacious cozy flat! Cute apartment -- a little hard to find at first, but once we were there it was great! Pocket WiFi was super helpful once it was active, and the apartment served our needs perfectly. I would definitely recommend this - 5 minutes from the Metro, tons of restaurants nearby!